This teeny-tiny, oh-so-adorable Yellow Be the Voice Button is a nice reminder that big things come in small packages, and that it’s important to “Be the Voice,” even when you may be feeling small. 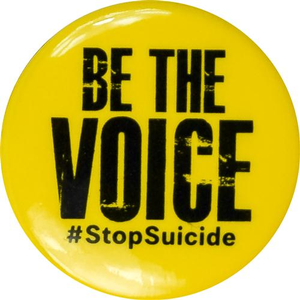 Features the “Be the Voice” logo and the #StopSuicide hashtag in blue on a yellow background. 1”. Comes in packs of 25.